I have a similar unit with the octa core. It's the 10.1.1 and by flipping the original head unit trim upside down it gave a better angle, but I didn't have to do any trimming and I used auto body trim tape to lock it in. I'm very jealous of your amps but getting good amplifiers here is as difficult as finding a porkchop. getting good amplifiers here is as difficult as finding a porkchop. How much longer are you stuck over there in the sand box? Was also thinking of ordering TPMS system for the android units but it takes up a USB input and seems redundant given the factory TPMS at least throwing an idiot light when variance between tires gets too great. Always been good enough for me. I went with a TPMS system that uses a rear camera video interface to patch in the image of the wheels and pressure/temp values. 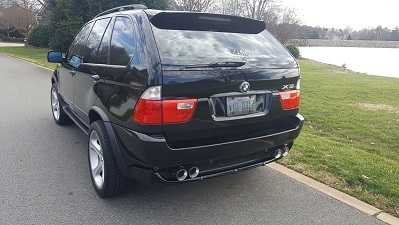 I like it and have it on my E53 as well as the E46. It has saved my a$$ a few times! My factory TPMS in the E46 no longer functions (even with new sensors in the wheels-probably receiving sensors) and my E53 didn't have one installed from the factory. Could you provide a link for the front dash cam that you have selected? Thanks. I'm over here as long as I want, kind of a thank you position. But I'll probably just stay till my fun-meter is pegged. Have a link to your tpms system? Sounds interesting as I want the functionality but don't want to lose the usb input. Standby and I will try to look it up. Last edited by semcoinc; 12-30-2018 at 01:03 PM. The specifications list that as a 170º FOV. Have you tested the image and I am wondering is it fisheyed? It's supposed to get here today. I'll hook it up and report back. I don't really mind fisheye as long as license plates are legible. But I could see it bothering some. Thanks Mike. I'll check that out. Take a pic if you can and post it. I looked at the Avin unit and it must be the same piece. 170 FOV as well.